ÍSTAK is a leading Icelandic contracting company that handles projects such as buildings, power plants, aluminium projects, harbor projects as well as road and bridge building. 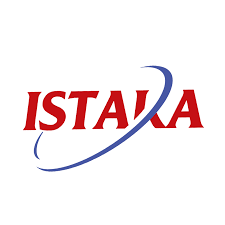 ÍSTAK has been a leader in the Icelandic contracting industry for over 40 years and has had an huge impact on the development of building and other construction projects in Iceland as well as on foreign grounds. ÍSTAK employees about 350 people who have various knowledge and experience. They along with state of the art building devices has made ÍSTAK a leader in construction in Iceland. ÍSTAK handels projects of all sizes and its main focus is in Iceland, Faroe Islands and Greenland. At our worksites we have roughly three groups of people with regards to education. The first group has an education on a bachelors or masters level. They are mainly educated in engineering or disciplines related to building or construction, but also geology and business administration to name a few. The second group of employees are skilled labourers. They can have attended any type of trade school or vocational school. Disciplines include carpentry, blacksmithing, mechanics etc. The last group contains employees with no formal education or education related to their current job. These employees can have various jobs, but many of them have qualifications that require great skill and attendance at demanding courses. The most important quality that an Ístak employee has to have is the desire to finish the project. Weather and external factors can demand many things of the employee, such as perseverance in the face of obstacles, ingenuity and thinking innovatively. The extra mile is therefore the ability to take the initiative when needed. Our technical staff have a great responsibility for the projects and the employees, but also a great amount of freedom. The employee is therefore able to affect their career. Our work environment is ever changing, as no project is the same, ensuring that every day brings new challenges. Ístak shows responsibility regarding environment by minimizing the impact our projects have on environment and nature. It is our goal to avoid any stress on ecosystems.